MONTGOMERY, Ala. — Perhaps it&apos;s fitting that an African-American man who addressed the 2008 Democratic National Convention in support of Barack Obama and the 2012 Republican National Convention against Barack Obama is running in a nonpartisan race here against a man named "Strange." Former Rep. Artur Davis, a native of this city who once represented Alabama&apos;s 7th District as a Democrat, is about to test the life lessons espoused by his successor , Democratic Rep. Terri A. Sewell. Davis&apos; one-time ally likes to tell public school kids not to take short cuts, to be proud of who they are and where they&apos;re from and that they can always go home . Davis came up short in the Democratic primary in his 2010 gubernatorial bid and moved to Northern Virginia. Just after a short break as a fellow at Harvard&apos;s Institute of Politics, Davis left the party in 2012 to become a Republican. Incredibly for someone who was one of Obama&apos;s classmates at Harvard Law School and seconded his nomination at the 2008 DNC in Denver, Davis addressed the RNC just four years later to say he and millions others "got it wrong" by backing Obama. He&apos;s about to find out if he, too, can come home. Late last year, after having shown interest in the seat of retiring Republican Rep. Frank R. Wolf in Virginia and being linked to other possible races in the commonwealth, he moved back here to Montgomery from the Old Dominion. In January, he made it official he was running for the city&apos;s top job. The election is on Aug. 25. "I fully understand that not every one of you will agree with me on every issue. And some of you haven&apos;t agreed with every choice I made. I respect that, but I know this campaign is about something bigger than party or past disagreements. To my African-American and Democratic friends, I ask you — you twice elected a Republican named Todd Strange — won&apos;t you give me the chance to earn your vote? To my Republican friends, is the spending and debt in Montgomery the kind of conservative fiscal management that you value?" Davis asked in his official announcement last month. 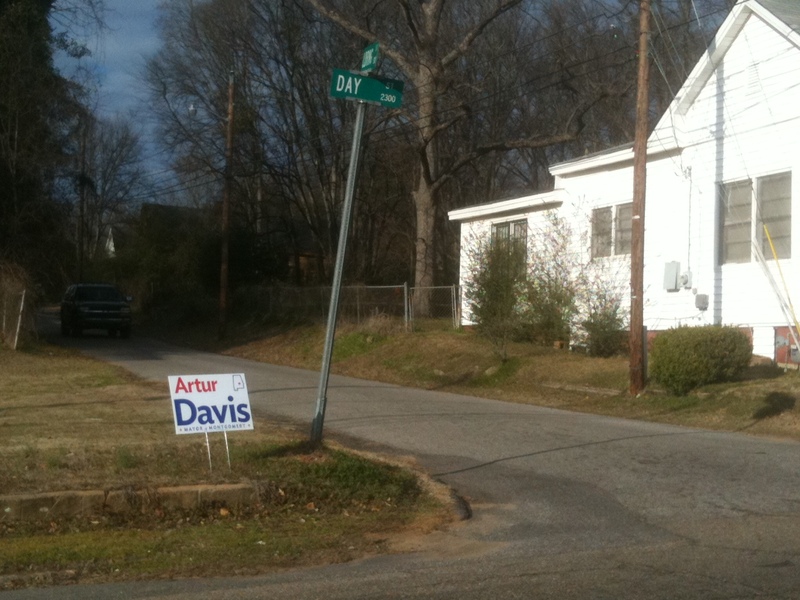 Like many politicians, Davis is looking to appeal to members of all parties and persuasions. But there&apos;s more to the "past disagreements" with Democrats than his party and presidential loyalty switches. When he first won his House seat in 2002, Davis knocked off an incumbent in the Democratic primary, Rep. Earl Hilliard, a veteran of the Congressional Black Caucus. Davis eventually smoothed things over with the CBC, though some members had campaigned against him in 2002. But some of the old wounds surfaced again when Davis voted against Obamacare, a move anathema to not just Democrats but particularly to CBC members. And it&apos;s not only those burned bridges Davis will need to overcome to win the mayoral race. He&apos;s never represented the capital city in any capacity. Although the current 7th District encompasses parts of Montgomery, Davis&apos; district from 2003 to 2011 did not and was based in Birmingham, Tuscaloosa, Selma and Demopolis. Davis described himself in his announcement as a "31-year resident of this city" and "a child born off Day Street who ends up going to Harvard" — a reference to being reared in one of the less-glamorous parts of the city and the heights to which he ascended from it. One person he shouldn&apos;t count on support from is Sewell, the most high-profile Democratic officeholder in Alabama. The congresswoman — who told CQ Roll Call last week she only ran in 2010 because it was an open seat, adding, "I never would have run against Artur" — said the two don&apos;t talk anymore. Correction Feb. 24, 11:16 a.m. In an earlier version of this post, the photo caption misstated the name of the Conservative Political Action Conference. Related: Terri Sewell Proves You Can Go Home Again Despite Rumors, Wolf Plans to Run for Re-Election The 114th: CQ Roll Call&apos;s Guide to the New Congress Get breaking news alerts and more from Roll Call in your inbox or on your iPhone.